We have technicians on stand by 24 hours a day/7 days a week. As New has a wide variety of restoration equipment including specialty water extracting tools, air movers, dehumidifiers, ozone machines, foggers, and much more. Usually we are able to have your home or business completely dry within 1-3 days, giving you as little possible disruption. We are able to bill your insurance company direct upon completion of work. 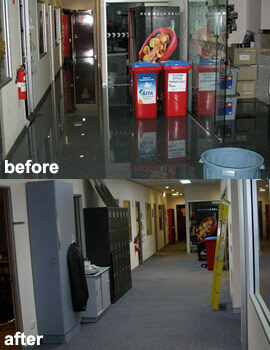 Water damage should be attended to immediately to prevent structual damage or possible health risks.